It's time for another reevviiiieeewwww!! Okay, so let's begin the review! You can see from the packaging itself, looks chic and fun, right? VOV differentiate their box design and cases according to the cushion type. while for the matte one the pckaging is also matte. One box contains of 1 pieces cushion, but unfortunately I still couldn't find the price for each box. Hoepfully I can update the prices soon! Annnddd, here is the result after 6 hours using VOV Maxmini Cushion. 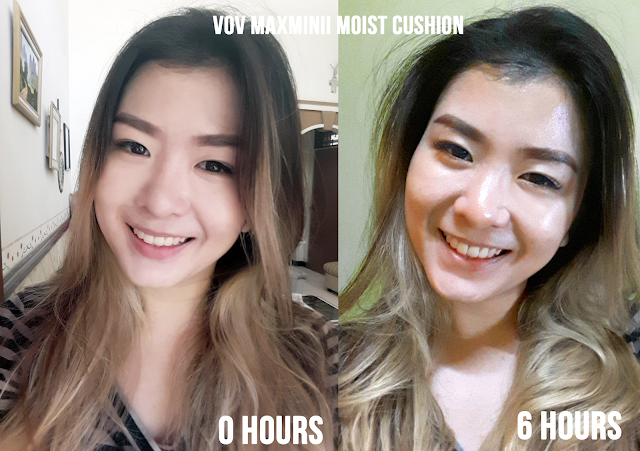 In the picture above, I'm using VOV Maxmini Moist Cushion. After 6 hours, my skin looks glowing and oily. In the picture above, I'm using VOV Maxmini Cover Cushion. After 6 hours using the product, my skin still glows, but alsostill matte and not so shiny. My skin type is combinantion to oily skin, so I prefer to use the VOV Maxmini Cover Cushion. 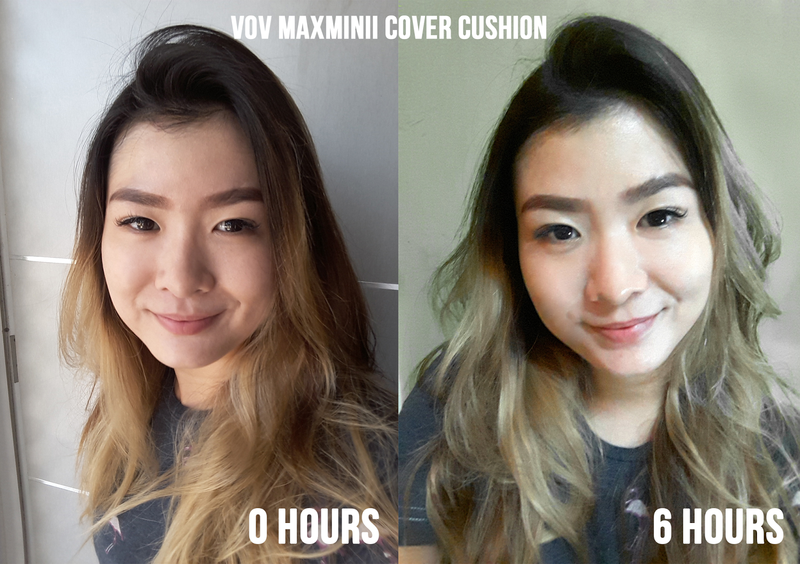 VOV Maxmini Cover Cushion is suitable for me.I like it!